MLS# 180062868 - 12735 War Horse St., San Diego, CA 92129 - Abacus Properties Inc. Courtesy of Big Block Realty, Inc., Charmaine Hogan. Perfect Multigenerational home with 3,200 sq. ft and no HOA’s or Mello Roos! 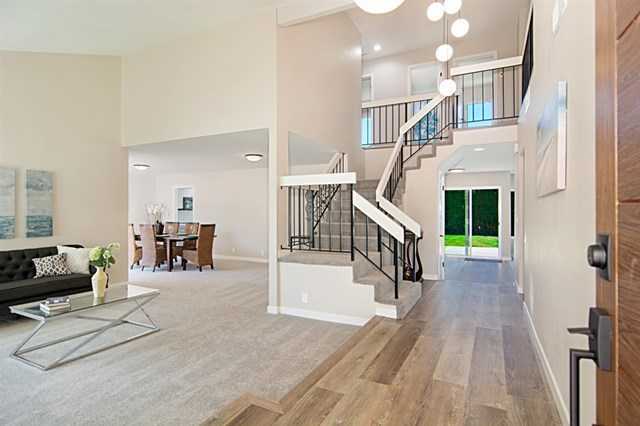 As you enter this amazing home you notice the stunning waterproof luxury vinyl plank flooring, plush new carpeting and the dramatic LED light fixtures! The fresh exterior and interior neutral paint show off the new energy efficient windows (LOW-E-366) with auto lock hardware and easy removable screens. Kitchen is stunning with quartz countertops and cabinetry with soft closing doors and drawers. See supplement for more details. Please, send me more information on this property: MLS# 180062868 – $998,000 – 12735 War Horse St., San Diego, CA 92129. I would like to schedule a private showing for this property: MLS# 180062868 – $998,000 – 12735 War Horse St., San Diego, CA 92129.